Everyone, especially women must always dream of having healthy, soft and beautiful hair like in Disney movie characters (Rapunzel, Cinderella, and Snow White). In the real world, there are many shampoo advertising models that do have beautiful, soft and healthy hair. If you are interested in having thick and shiny hair like ad stars, you can read the secrets of making hair sparkling and beautiful in this article. Start by paying attention to the foods you consume daily, this is a major factor as a nutritional intake for your hair. The most important first step in hair care is to pay attention to the food you consume, two important ingredients in the foods that are needed hair are iron and protein. According to experts, hair cells are the fastest growing cells in our body. However, these cells are also the most rapidly affected if we do not consume the right foods, which contain many nutrients. If you want to have healthy hair and look beautiful natural, you should start to increase the consumption of green leafy vegetables, beans, soybeans, beans, until pumpkin seeds. Health experts also advise us to consume about 12 mg of iron every day. In addition to iron, protein is also needed because it can help strengthen the hair roots. Some of the best sources of protein include: cheese, soy bean milk, peas, fish, and yoghurt. How often should we wash our hair? According to experts, washing hair three times a week is the most ideal. Conversely, washing hair every day is a mistake. Because, hair actually has a natural oil that has been designed to keep and protect the hair to stay healthy. So, if we use shampoo every day, natural oil hair will often erode. Gradually will cause the hair to dry, brittle, and lose its luster. Shampoo is one of the most ideal hairdressers and most often we use to maintain hair hygiene. Unfortunately, today there are many low quality shampoo on the market, one of the characteristics is, the price is cheap. These shampoos, although they can clean the hair, but unfortunately do not contain many nutrients and sometimes it contains ingredients that can make hair easily damaged. If you want to have healthy and natural hair, buy a high quality shampoo although the price is a bit expensive, but the results given will feel worth it. According to a dermatologist named Dr. Doris Day. He says that, the intensity of hair washing by using shampoo is highly dependent on how actively your scalp produces oil. Generally, curly hair is not recommended too often wash your hair. Conversely, having a straight hair will make the oil on the scalp more quickly down to the tip of the hair so that they can also wash the hair (with shampoo) more often. According to one expert named Mark Townsend. 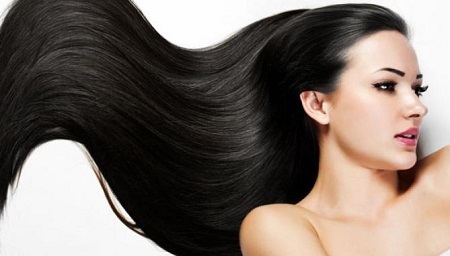 Healthy, beautiful, and glossy hair can be affected by applying shampoos and conditioners when bathing. It's not just about how much shampoo you apply when taking a bath, but what's important is, where do you apply it? Still according to Mark Townsend, shampoo should be applied directly to the scalp alone. Not at the ends of hair or overall hair. Because by itself, when you will rinse the hair, the shampoo will also wash and wet the tip of the hair. The main benefit of massaging the scalp is to improve circulation or blood flow, smooth blood flow will bring a lot of nutrients, so the hair will become more fertile and healthy. Massage is also very useful to detoxify the scalp. If you are accustomed to take a shower with warm water or hot water, try not to wash your head or hair directly by using the hot water. Because of this habit can cause the hair becomes dry and easily tangled. As a result, the hair will become more easily damaged and dull. Choose only a qualified conditioner, avoid buying a cheap conditioner because usually the conditioner is minimal benefits and tends to damage the hair. Do not apply conditioner directly on the scalp, because it can cause the head more quickly oily. After shampooing, dry your hair first before applying conditioner, because, excess water in the hair can cause conditional difficulty penetrating the hair shaft. When hair is still wet, avoid hair brushing, because at that time the hair in a state of fragile and prone to broken / broken. Instead of using a hair brush, try using a metal brush (metal) and teeth rarely, so that the hair is not easily damaged or wavy. Rarely clean the comb or hair brush will cause dirt and bacteria to accumulate on the sidelines of the brush or comb. Gradually, it will cause the bacteria to multiply and move into the hair. At least, once a month wash your comb or brush your hair using warm water and shampoo. If necessary, use a mixture of baking soda and warm water to remove bacteria. Like the body, our skin needs water to stay moist and healthy, and so does the hair. Hair desperately needs water to grow fertile and stay moist, drink at least 2 liters of water every day to keep the body hydrated and hair on the head also get fluid intake. Honey has many health benefits. Honey is the best natural remedy for various diseases. Including to maintain health, hair fertility, and make it more sparkling, honey naturally has anti-bacterial properties that can help keep the scalp clean and avoid dandruff. If your hair is dry, use pure coconut oil to moisturize your hair and scalp. One cause of hair so damaged and difficult to regulate is because the pillowcase that we use is not good. According to the expert, the best pillowcover to keep the hair easy to set and not quickly tangled is a pillowcase made from silk. Whatever type of heater or hair dryer you use, including clogs, from now on try to avoid it. If you are accustomed to using a hair dryer because you want faster dry hair, from now on change the habit with a shower earlier. So, you have more chance to dry your hair naturally. In addition to being applied separately, the three materials above can also be applied simultaneously. Combining these three ingredients will be very beneficial to nourish hair from the outside. Pulling and tying the hair too tight is not recommended because it can cause the hair so stressful. If you want to avoid the hair does not fall apart when you wake up in the morning, you should tie the hair loosely before going to sleep. Rubbing your hair with a towel can help speed up the drying process. Unfortunately, this way will eventually cause the hair becomes more easily branched, tangled, dry, and even will easily fall out twice as much. Currently, there are various hair care products developed by cosmetic companies, but the more products you use, sometimes the results are not getting better, but on the contrary, can cause hair to be quickly damaged, It can happen because the various chemicals contained in it can often affect hair health. In addition to avocado fruit, bananas are very good for hair, bananas contain lots of potassium. The content can help improve the elasticity and health of hair naturally. In addition to consumed, bananas can also be used as a hair mask. How to use it. Puree the banana to form a paste, then apply from hair root to hair tip. Let stand for 15 minutes, then wash and rinse with a light shampoo, this treatment can help avoid damage and dry the hair. Tips to treat hair using corn flour or cornstarch is the last point of 19 ways to treat hair to be beautiful natural. How to use maize starch to treat hair is, apply the flour directly to the scalp. Then let stand for 10 minutes then brush and clean. Maize maize is useful as a dry shampoo to treat oily hair. After having a clean and shining skin, a beautiful natural face, and shiny hair, your appearance will look more perfect if you complete it by wearing a beautiful and trendy clothes.